This controller has two bult-in 4-Bar (43.5 psi) sensors. 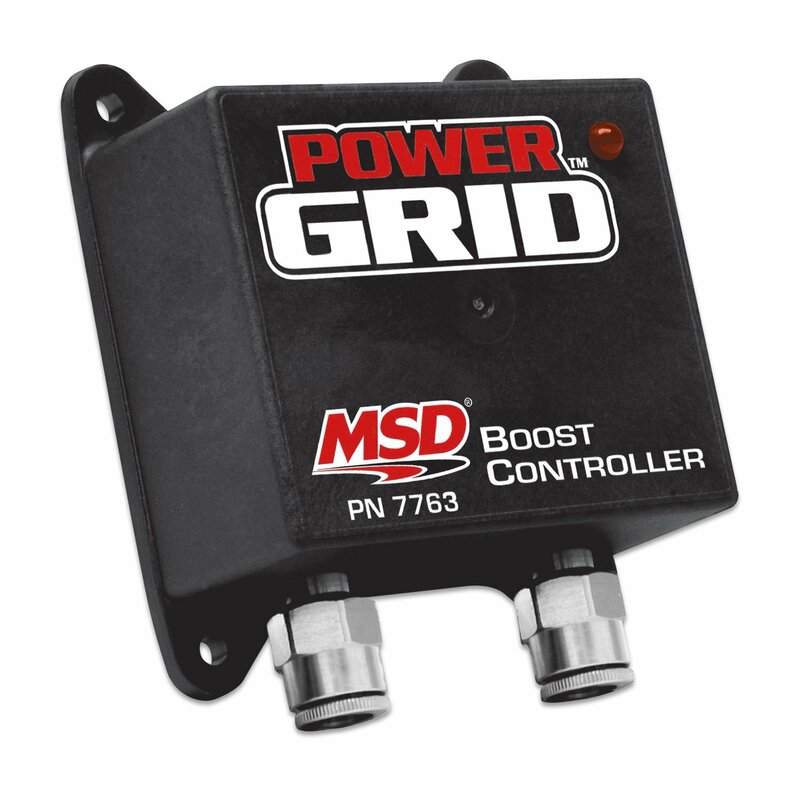 MSD Boost Controller is the most accurate and easy to use controller on the market. It plugs directly into the Power Grid via the CAN bus which allows users to make adjustments through MSD View software. The controller featurs two boost curves that can be toggled on the fly, a user adjustable boost vs. timing retard curve, pressure switch and an over boost shutdown to protect the engine. The Power Grid data acquisition will record manifold and wastgate pressure as well as solenoid operation.